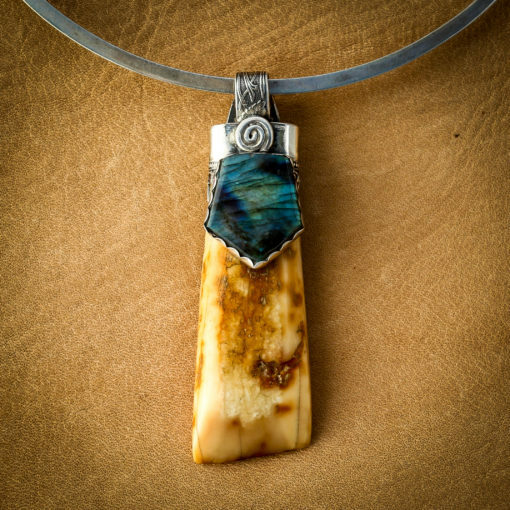 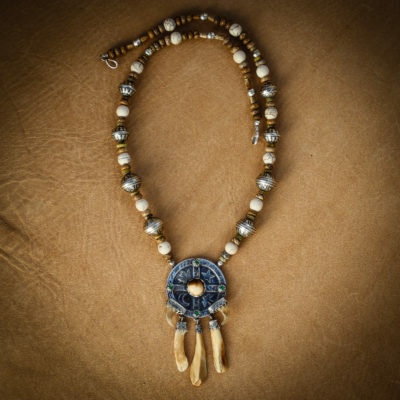 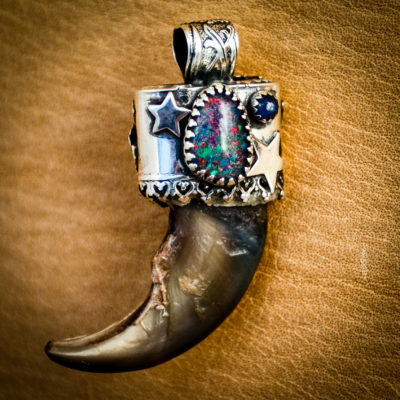 This fossil ivory piece is actually a northwest tribal artifact, an ancient tool used for hide-scraping and is now elegantly preserved in a unique handcrafted silver setting. 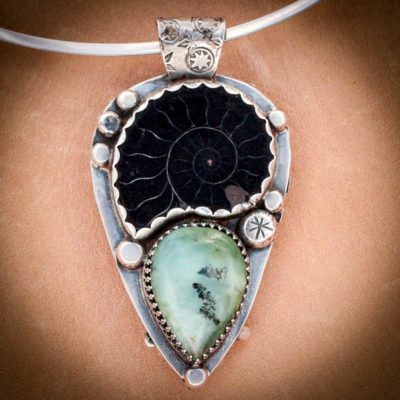 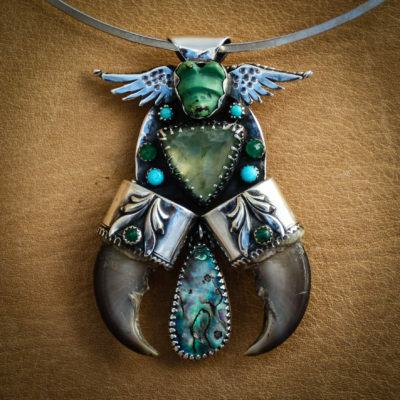 This reversible pendant celebrates the 2 very different sides of the fossil ivory. 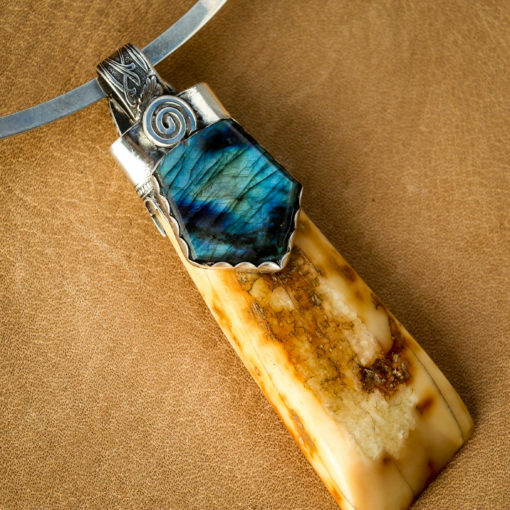 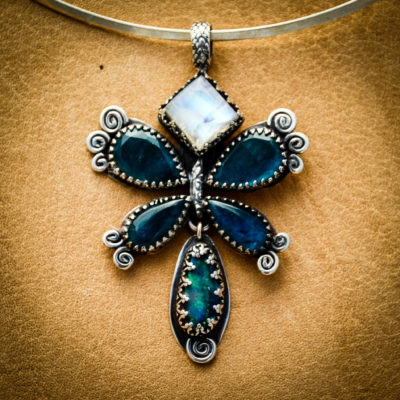 The labradorite is hand-cut and masculine in its angular design with a blue hue. 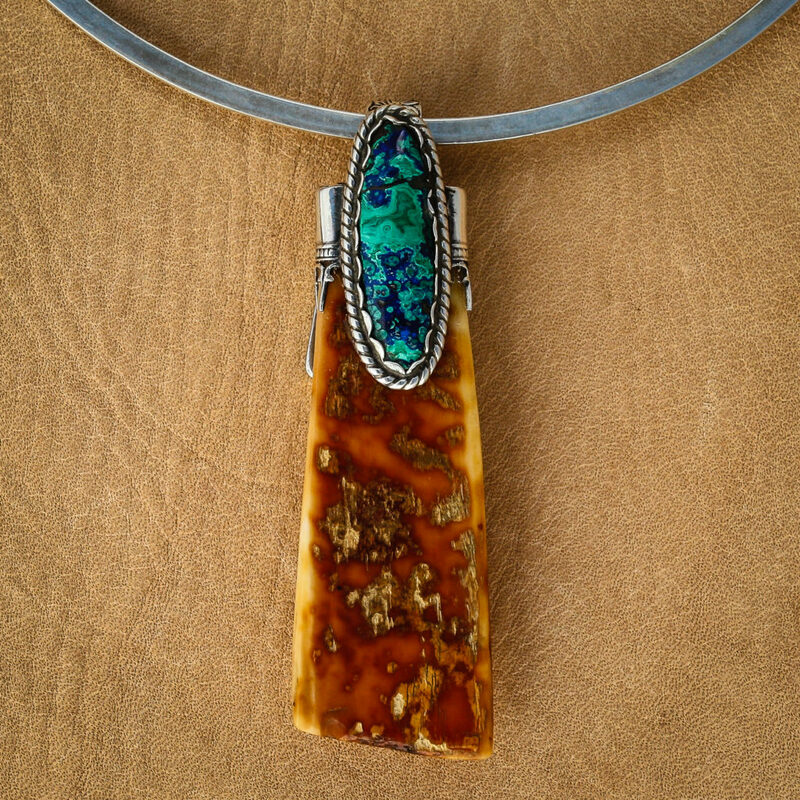 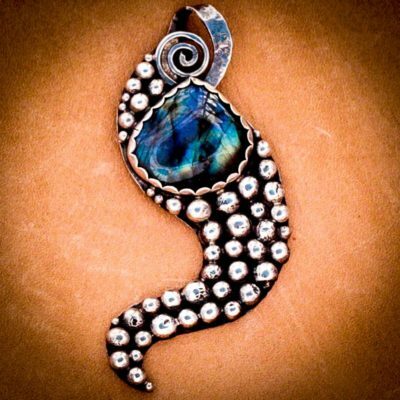 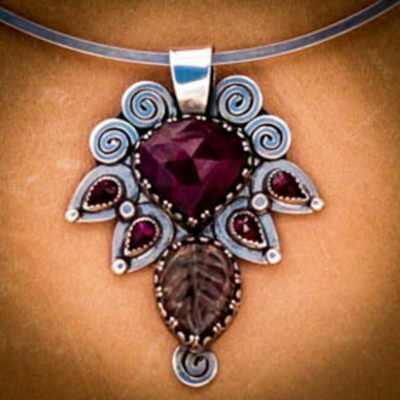 the blue flash contrasts beautifully with the golden cream tones of the ivory, On the opposite side of the pendant, the ivory has a deeper coloration and mottled texture which inspired me to echo that texture in choosing an intricate azurite malechite.